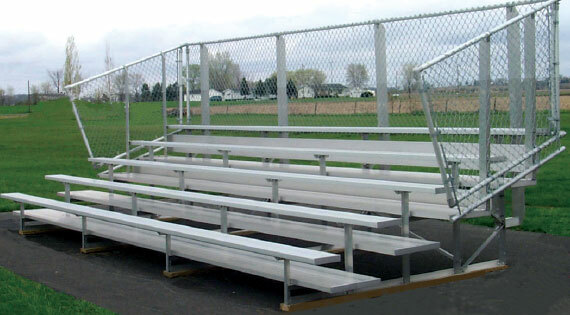 Call 800-877-1500 To Order Your Bleachers Today! Our Tip N’ Roll bleacher is easily tipped up onto its swivel casters for movement and storage when not in use. First seat under 12” high. 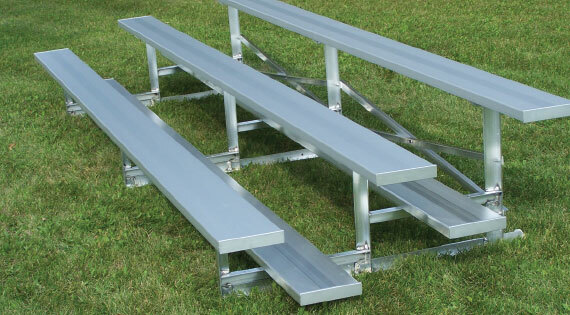 3 and 4 row Low Rise bleachers are also available as Tip N’ Roll or Transportable bleachers. 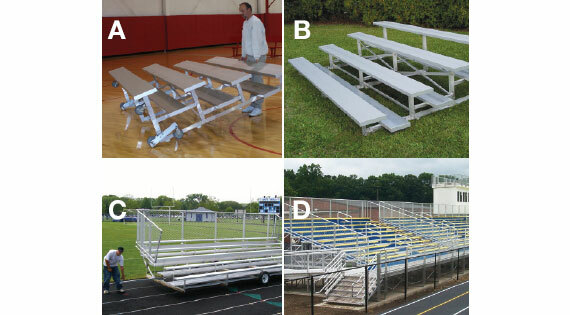 Each Transportable bleacher is fitted with a galvanized steel horizontal lifting brace, and extra bracing to stabilize bleacher when transported. 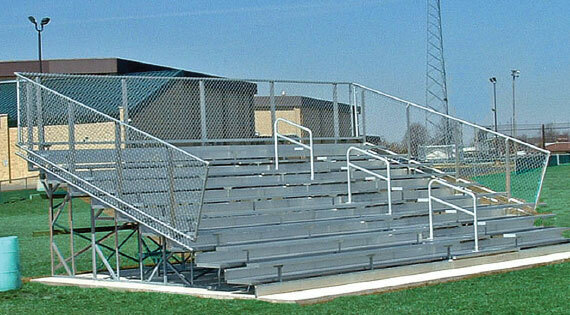 For events and venues where elevated bleachers provide better viewing for your spectators. 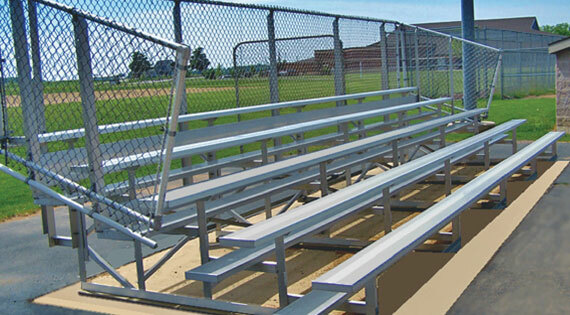 All bleachers should be anchored to resist wind loads. Please contact your local code authority for compliance with applicable codes.